Home » action » It is giant monster pig action in the new trailer for Boar! It is giant monster pig action in the new trailer for Boar! Get ready for some giant monster pig-on-the-loose fun with Boar. Brutality and hilarity go hand in hand in this monster of a movie John Jarratt (Wolf Creek, Django Unchained), Bill Moseley (Charlie’s Farm, House Of 1000 Corpses, The Texas Chainsaw Massacre 2), Simone Buchanan (Neighbours, McCleod’s Daughters), Nathan Jones (Charlie’s Farm, Mad Max: Fury Road), Hugh Sheridan (Packed To The Rafters), Roger Ward (Mad Max), Melissa Tkautz (Real Housewives of Sydney), Ricci Guarnaccio (Geordie Shore) and Ernie Dingo (Crocodile Dundee 2). 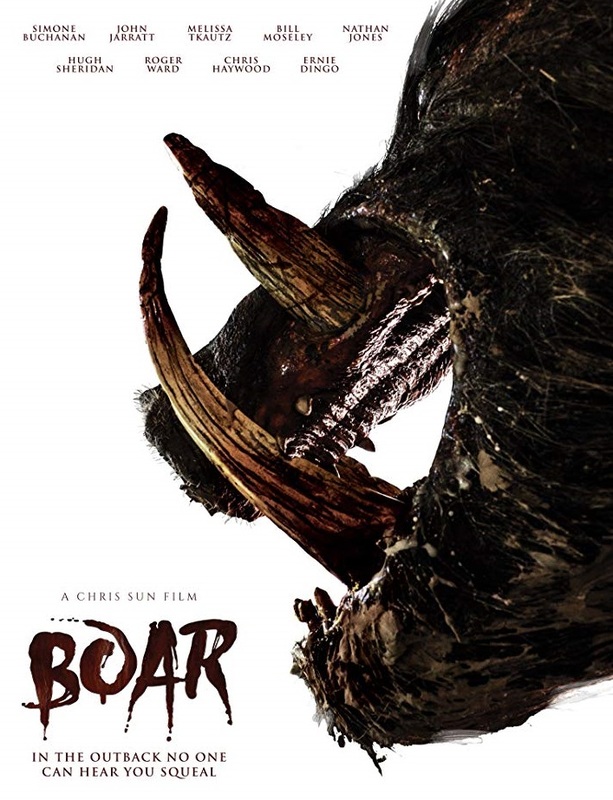 Boar is written and directed by Australian Horror Director Chris Sun (Charlie’s Farm, Daddy’s Little Girl). Boar is available to buy on DVD from 25th February 2019.